Taktsang can be rightly described as most important tourist place while traveling to Bhutan. 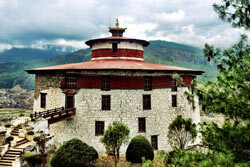 The monastery is located on a vertical cliff near North of Paro. 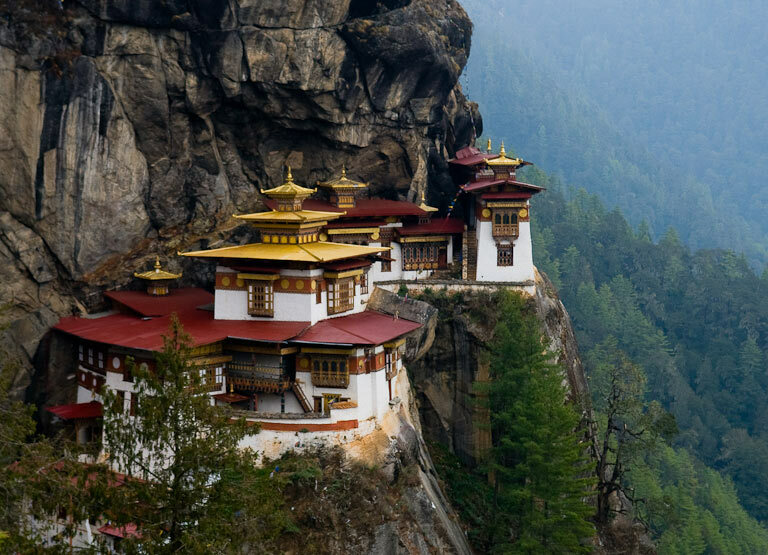 Built in year 1692, it is believed that Guru Rinpoche flew to this cliff all the way from Tibet. 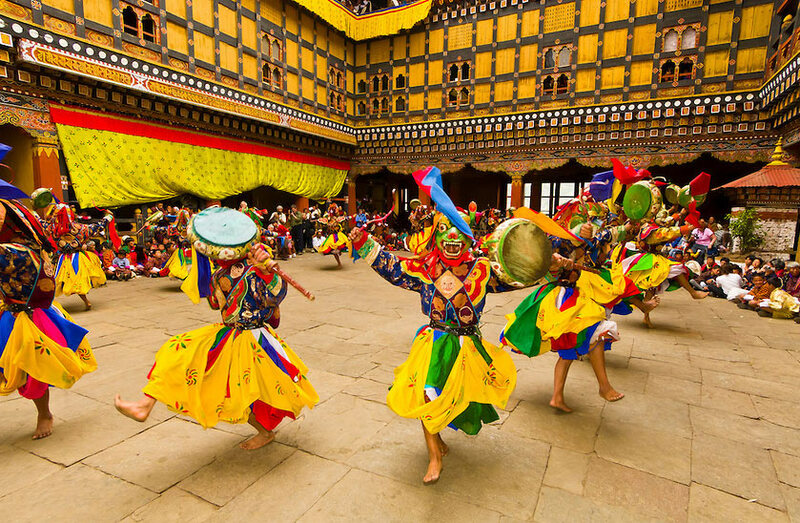 The whole of Bhutan comes alive with celebrations of Tsechus (religious festival celebrations). 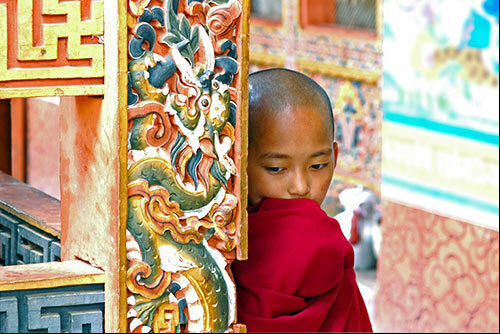 These festivals are celebrated all over the country in dzongs and major monasteries. Tsechus are biggest attractions for tourist with mask dances and cultural performances. 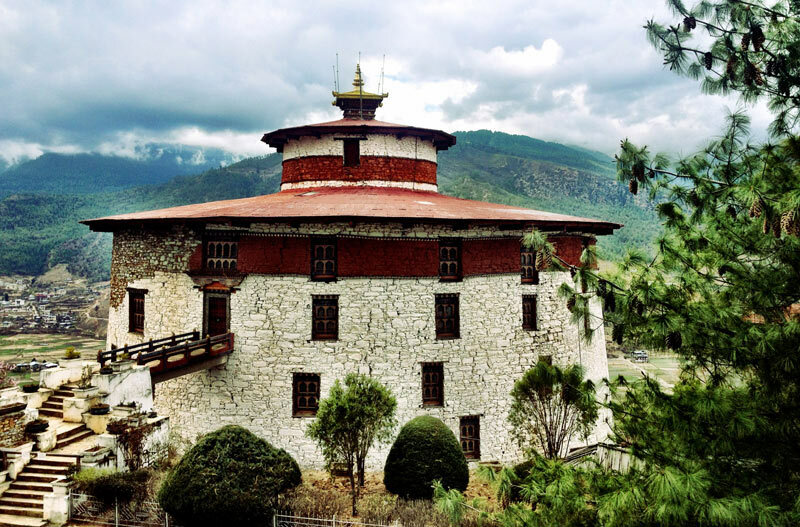 The remaining ancient forts which are based on Bhutanese architecture serves as administrative centers in Bhutan. 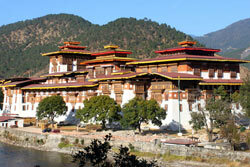 Dzong are main attractions of Bhutan due to their traditional style and unique design. 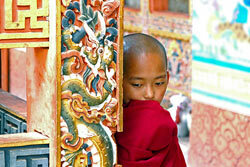 Bhutan has been successful in sustaining their Buddhist values including happiness in daily life. 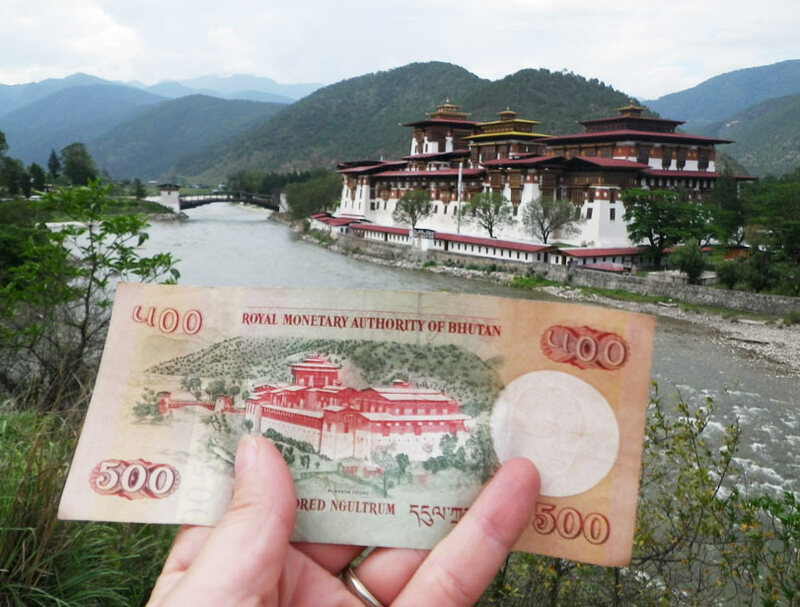 Over the years, Bhutan has focused on maintaining a healthy Gross National Happiness (GNH) instead of GDP. 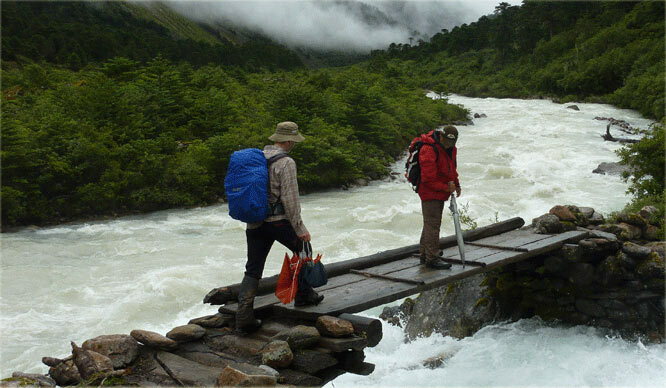 Bhutan attracts a large of trekking lovers from around the globe due to presence of highest unclimbed mountains in the region. 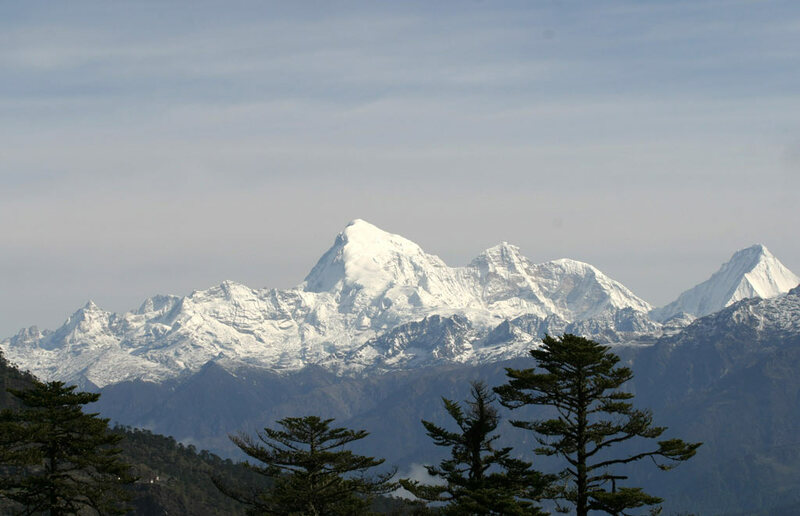 Mount Jhomolhari is one of the highest unclimbed mountains of Bhutan. 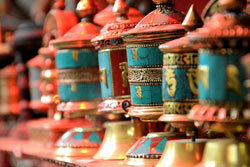 Museums are the live testimony of Bhutanese history and teachings dating back to 8th century. 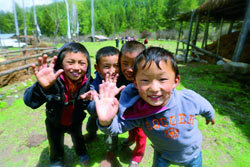 Visiting dzongs and lhakhangs provides an opportunity to explore Bhutanese history and their style of life. 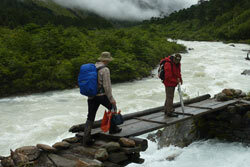 Trekking in Bhutan is a challenging task due to rough routes and high mountains. 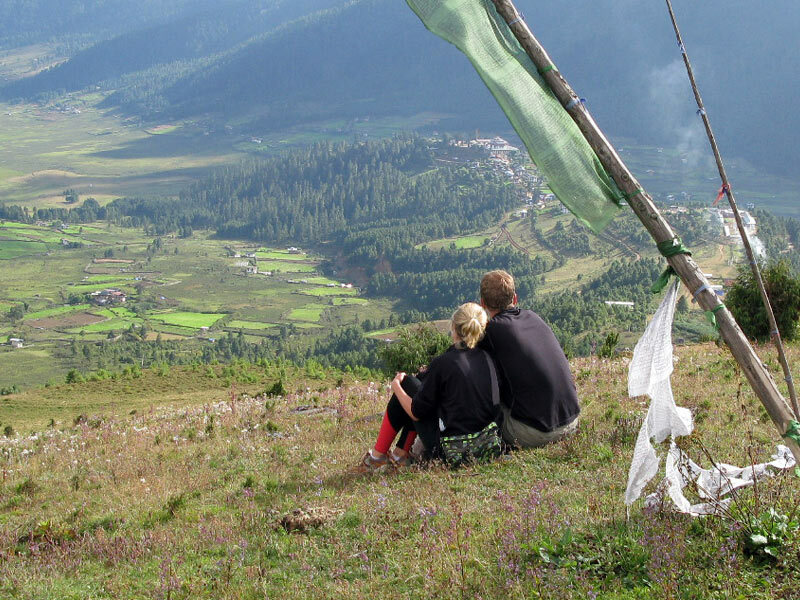 Bhutan has several mountain trek routes which offer a perfect mix of adventure, fun and natural beauty. 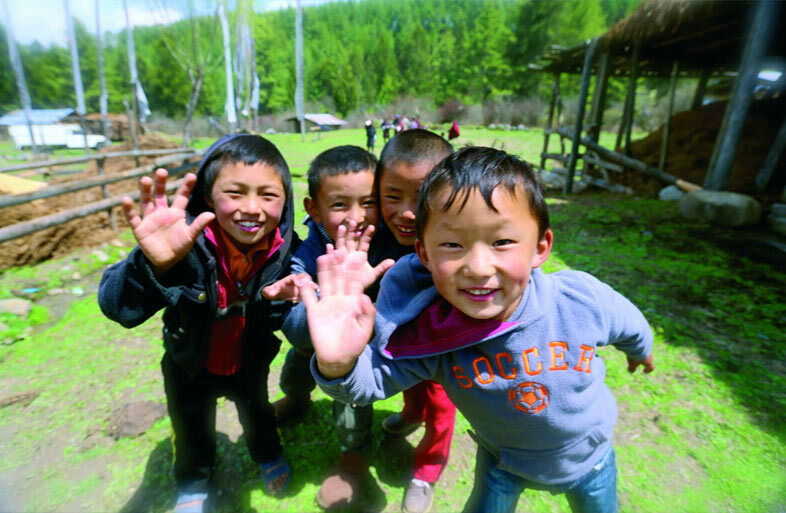 Bhutanese arts and crafts also popular as Zorig Chusum plays significant role in people�s daily life. These include woodwork, stonework, carving, painting, sculpting, wood turning, black smithy, ornament making, bamboo work, paper making, tailoring and weaving. 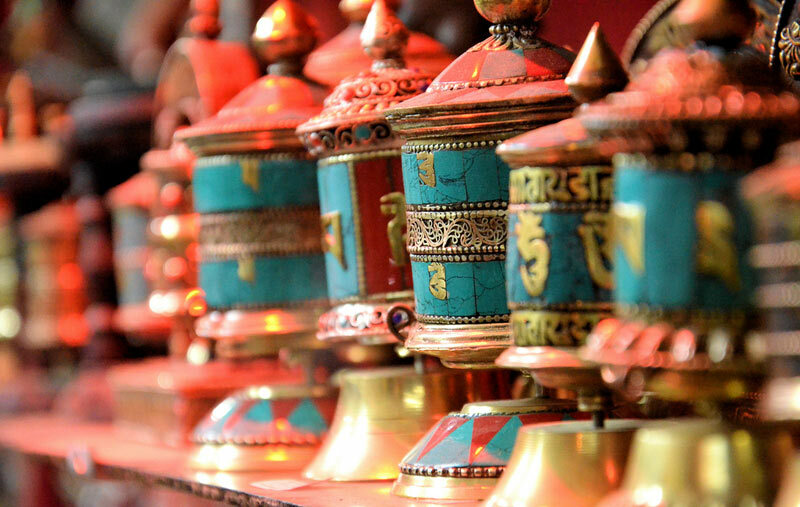 The unique cultural diversity in Bhutan is reflected in the crafts prepared by the Bhutanese. 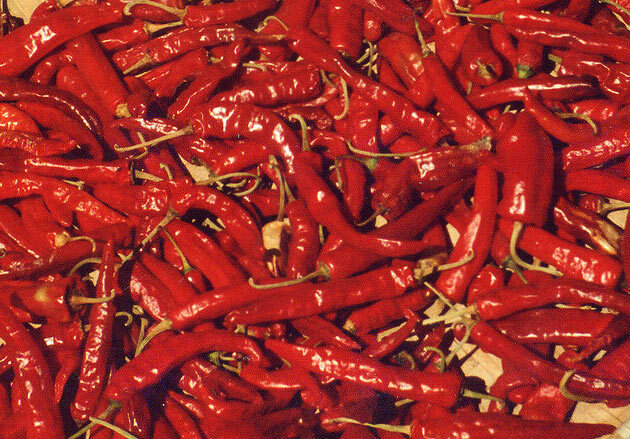 The red chilli is very popular in Bhutan and several dishes including the national dish �ema-datshi�, is prepared from it. 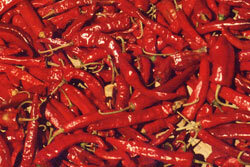 Red Chilli is used widely in various recipes of Bhutan. 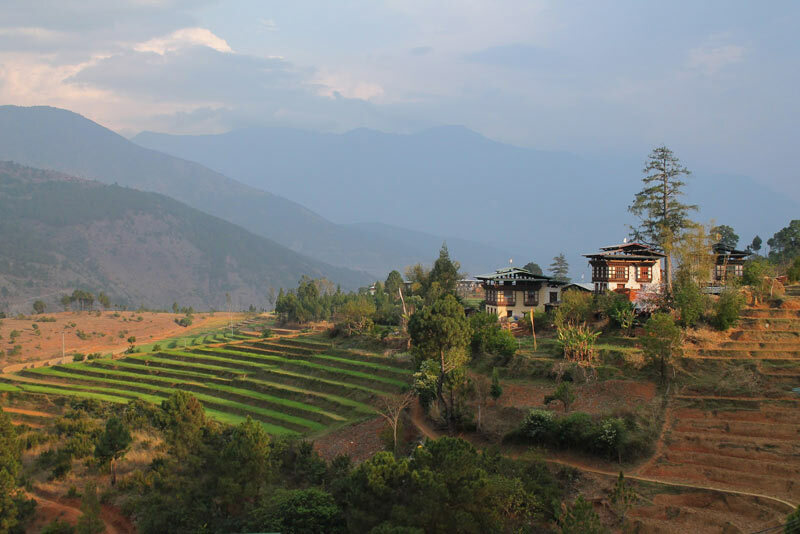 Try lip smacking cuisine of Bhutan when you visit this little Kingdom. No Malls, No shopping, No crowds ... Just you and your partner, explore the ancient monasteries, mountain trails, camp by the river side. 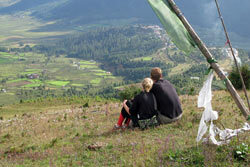 A honeymoon destination like no other, Bhutan would surprise you every minute of being there. 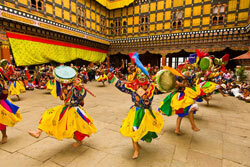 The higher altitude makes Bhutan a great destination to visit in the summer season. 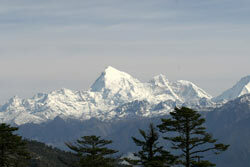 Snow in the winter season attracts a large number of tourists from far and wide. 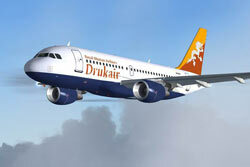 Travel to Bhutan and discover a mesmerizing experience of pleasant weather of the Himalayas. 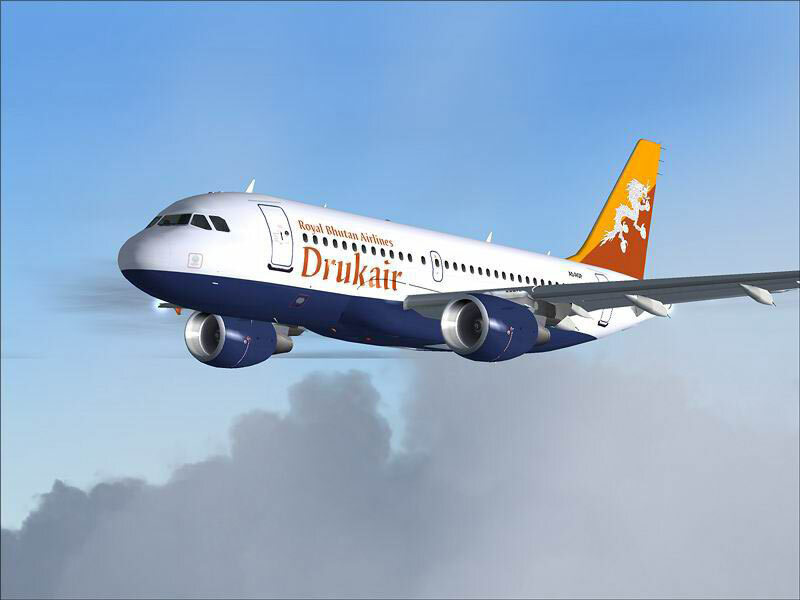 Bhutan is a well connected destination with direct flights from Delhi, Kolkata, Dhaka, Singapore and Kathmandu. 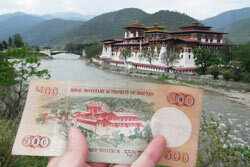 One can reach Bhutan by road through Phuentsholing. 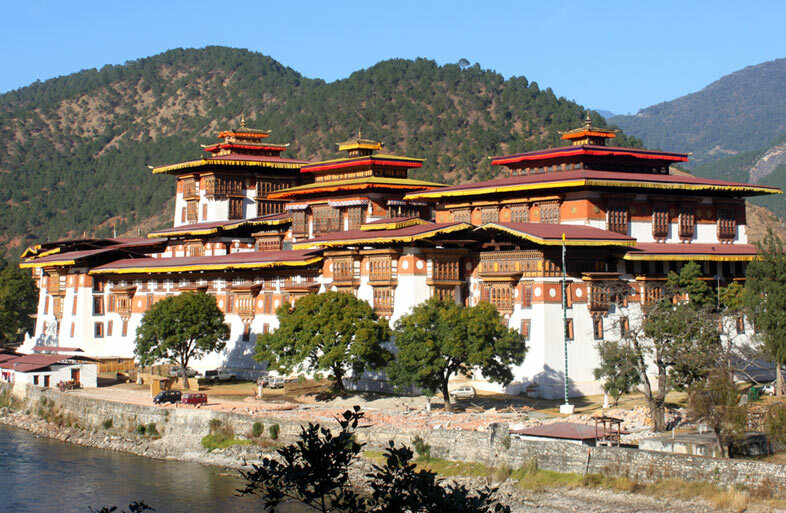 It's a myth that Bhutan is an expensive destination, the air ticket price varies between INR 25000 to 28000 per person and the hotels are priced at the same levels as any other tourist destinations in India.